Rusty Posey: Do You Know What Your Kids Are Watching? and in Movies, can have a profound impact on our worldview. As adults, our worldview more than likely has been solidified for some time. However, Children and Teenagers are more impressionable. What they see and hear shapes their worldview. Romans 16:19 (NLT) profoundly states, "But everyone knows that you are obedient to the Lord. This makes me very happy. I want you to be wise in doing right and to stay innocent of any wrong." Donald Stamps, missionary and author of the study notes for the Fire Bible, rightly instructs believers in his commentary on this verse. He writes, "Believers should do all in their power to keep their children from being exposed to sin's deceitfulness and the perverseness of this generation. To refuse to protect our children disregards the Holy Spirit's desire that they be innocent about what is evil." It is a parent's job to train their child in a way that will help them stay innocent of evil. Do you know what your kids are watching? Through iPads, Television, Video Games, Netflix and Theaters, our children have access to all sorts of corrupt and vile things that have the potential to impact their lives in a negative manner. So, how do we keep our kids "innocent of any wrong" in the digital age? Let me give you a quick guide to helping your children pick the right things to watch or play. 1. Use the Rating Systems - There are rating systems for movies, television and video games. All advertising should properly display the ratings so you will know ahead of time what rating the movie, show or game your child wants to see or play has. To learn more about movie ratings, go to The Motion Picture Association of America (MPAA). For Television ratings, go to The TV Parental Guidelines. The Entertainment Software Rating Board (ESRB) has created a rating system for video games. 2. Read Reviews - While the ratings systems give a good initial barometer, they are not entirely reliable when it comes to spiritual matters. Before Sasha and I decide to take our kids to a movie, we typically visit a review site that will tell us about the content of the movie. My favorite website to get reviews is Plugged In by Focus on the Family. They provide a great breakdown of the movies that give parent's a clear guide to what they will see in the movie. In addition to their movie reviews, they also have reviews for TV, Books and Games. Crosswalk.com and the Movieguide are two other great resources. 3. 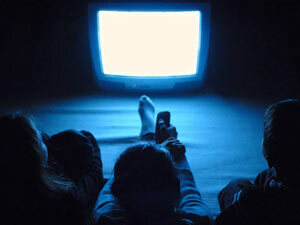 Screen It - If you still have some questions or there is no review, screen the movie or television show ahead of time. When our girls want to watch a new show on television, we will screen it before allowing them to watch it. 4. Set Parental Controls - Parental Controls can prevent kids from watching a show or movie over a certain rating. Dish Network, DirecTV and Netflix have parental controls and web pages about how to use them. We utilize the parental controls on Netflix. In order to watch above a certain rating, you need a password. In our house, only my wife and I know that password. 5. Be Ok With Saying No - There have been times we've had to say "No, that show/movie is not appropriate." There was one show we deemed appropriate only to have an episode come on later that advocated for something against our Biblical beliefs. We had to tell our girls they couldn't watch it anymore. We explained the content of the show had shifted and was against our Biblical beliefs. They understood. It is important to be ok with saying no even if your child is not happy about it. Even if "everybody else is watching it," stay strong. It is our responsibility to train our kids regardless of what everyone else is watching.